We’re a group of women recasting the vision for Zion, so that we can spiritually and joyfully provide hospitality, and enhance the awareness of life issues for Zion’s members and community. We strive to grow together, encourage each other and be a support system for each other as well as our church. The Men of Zion is an organized body of Christian men whose express purpose is to lead, guide, and cultivate men to be disciples for Christ. The men meet monthly to encourage and strengthen each other through various activities. Ready to utilize your gifts and talents? The ones that are fighting to get out? Here’s your opportunity. The mission of the ARTS Ministry mirrors the mission of the church. The word of God can be preached and taught with the Gospel of Jesus Christ being heard through musical choirs, dance and theater. There are diversities of gifts, but the same Spirit and God worketh in all. Do you like working with children? The Children’s Ministry strives to help develop our children through conducting Bible studies and encouraging our kids to participate in serving the church. We strive to empower and impact kids starting at a tender age. Consider joining this team where kids experience Jesus’ love in a variety of ways. With the core values of Zion Baptist Church as our guiding principles, the Young Adult Ministry seeks to engage the young adult population (ages 19-35) in all areas of life. This involves positive influencing the personal, spiritual, financial, emotional, educational, and health needs of young adults in this community and beyond. We accomplish this by creating an atmosphere which serves as strength for this generation and fosters a spirit of growth. It is the ultimate goal of the ministry to EMPOWER young adults to live Christ centered lives and to serve as leaders bearing a Christian witness amongst their cohort. We’re preachers of the Gospel… as we provide proclamation of the gospel to all who are in need of salvation through Jesus Christ our Lord. We seek to practice evangelism as a prophetic role of the church. All are invited to live in discipleship within the whole body of Christ. Our mission is to lend a Helping Hand in our church and community. We provide support to community and state organizations, ex:PARC Place, (Homeless Families). HER Shelter, Homeless Women, Drop In Center, Operation Santa Claus, supporting needy children, the sick and shut-in and providing cards to the Prison Ministry. Our ministry provides spiritual guidance that empowers families to live and serve more abundantly. Activities include marriage empowerment, drug awareness, financial obstacles, and educational tips that might be helpful for married couples and families. In commitment to Jesus Christ as Lord and Savior, we affirm that God created all men equal. We seek to fulfill this calling through corporate served worship, programs of Christian Education, and nurture proclamation of the Gospel by word, deed, and ministry to human needs in the name of Christ. The Martha Douglas Missionary Ministry is a male and female organization. This ministry meets monthly. We aspire to practice Christian principles, and be of service to mankind both locally and globally. Our team is a dedicated group of members that serve the church through assistance in our fellowship dining areas, serving our guests for special events and also through welcome and greeting our first time visitors and guests. 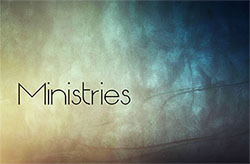 You can easily become a part of this ministry that strives to connect the congregation, the community and the world with information on our church events, our worship experiences, ministry activities, along with providing teaching and training moments through literature and electronic social media vehicles. Become a part of a team that helps the church stay connected! You can help us provide quality audio and video services to enhance Zion’s worship experience through the technology of audio/visual media. This team is a group of dedicated and driven individuals who have a passion for technology. Have a desire to help others? Then join us as we assist students within a safe environment where they receive one-on-one educational assistance and instruction to help them grow both academically as well as spiritually. Zion shares a great passion for the Homeless. The “Drop-In” Ministry provides physical and spiritual nourishment, to the homeless members of the community by serving breakfast three times a week and through sharing the gospel of Jesus Christ and with the goals of empowering those who use this ministry to be better stewards of their time, talents and resources. Our mission is to make a positive difference in the lives of our members by helping to lead healthy lifestyles through education, motivation and spiritual support. We sponsor nutrition info, health fairs and much more. We welcome members who can assist in transporting our members via our church-owned transportation. Zion wants to ensure everyone who wants to come to church, Can come to church! If you’d like to be part of our transportation team, sign up now!